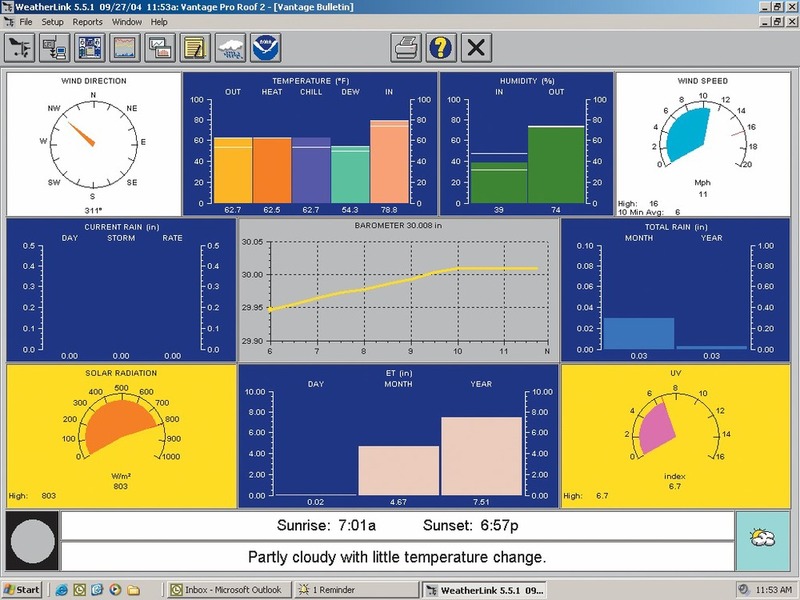 Our professional Vantage Pro2 weather station series measure barometric pressure, temperature, humidity, rainfall, wind speed and direction, UV/solar and much more! You'll get highs and lows (and/or totals or averages) for virtually all weather variables for the past 24 days, months, or years, and your own local forecast. All our Vantage Pro2 stations include sensors that are combined into one easy-to-install package. We have wireless and cabled stations available. Our wireless version is the first weather station in its price range to use frequency hopping spread spectrum radio to transmit and receive data up to 1000' (300 m) line of sight. Temperature and humidity sensors are housed inside a radiation shield. The shield protects against solar and other sources of radiated and reflected heat, improving accuracy. Choose our standard radiation shield, or, for the utmost in accuracy, our fan-aspirated radiation shield. 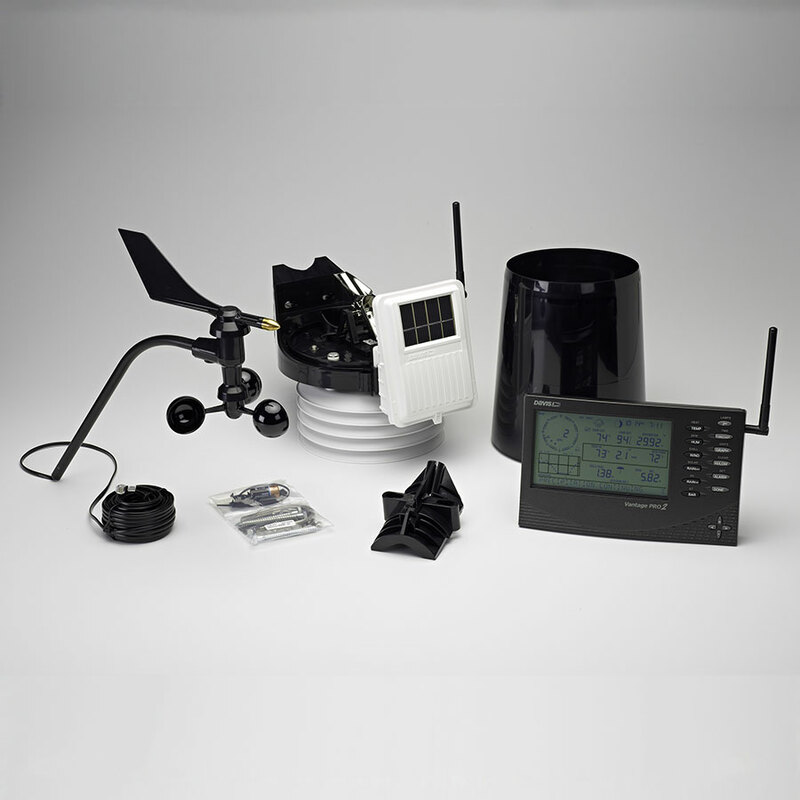 Our integrated sensor suite combines the rain collector, temperature and humidity sensors, and anemometer into one package—making setup easy and improving performance and reliability.